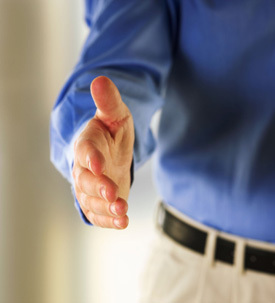 We look forward to speaking with you about our partnership options. 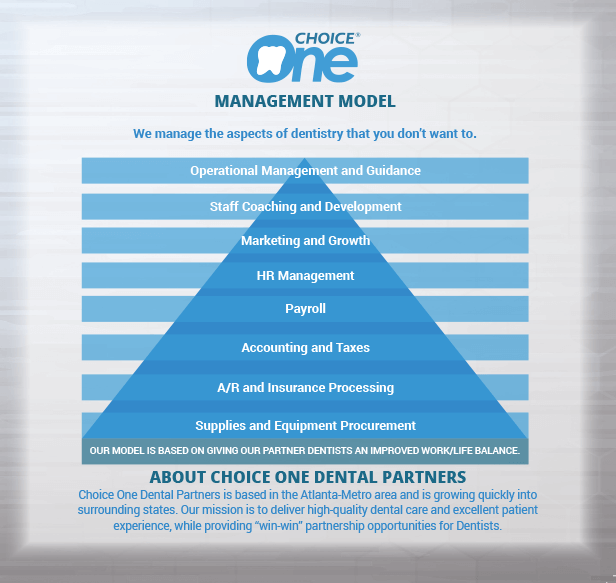 Choice One Dental Care affiliates with Dentists seeking to improve their work/life balance and focus on providing excellent patient care. How can I gain the experience and training I’m looking for? How can I jump-start my career? We offer Associateships which allows Dentists to gain the hands-on experience and mentorship needed to prepare for managing a practice. Our dedicated Clinical Development Program enables Dentists to obtain the training, experience, and guidance required to build the key skills and capabilities you’re looking to develop. I’m ready to manage my own practice…now what? I’ve built a good practice, but how can I take my practice to the next level? With our proven partnership model, we work with you to drive your practice’s growth while letting you focus on patient care. Improve your work/life balance and focus on the clinical side of dentistry, while we manage the administrative hassles of your practice. How can I get fair value for my practice’s equity and ensure a successful transition? We offer opportunities for Dentists to stay on in the practice as long as they are willing and able to work. We take pride in smooth transitions that are easy for the Dentist, patients, and staff. Our Partnership Model is built on mutually beneficial relationships and providing the services and tools needed to drive growth in your practice. “Win-win” partnerships. We offer a model with proven success and aligned incentives so that you share in your practice’s success. Proven expertise. Harness our management model and growth strategies to maximize your practice’s efficiency, patient experience, and growth. Reduce your stress. Improve your work/life balance and focus on the clinical side of dentistry. Let us manage the administrative side of your practice. Doctor-owned. Our dental practice group is owned and led by a Dentist who understands how to manage and grow a practice in the best way for your patients and staff. Ensure your patients and staff remain in good hands. We are a trusted and proven partner who can ensure your patients and staff are cared for in the future. “Patients first” philosophy and culture. Excellent patient care and experience are part of our DNA and guide our practice group. Family-like group practice feel. We are not a large corporate bureaucracy, we are nimble and responsive to your needs. We are locally based in Atlanta – our accessibility and responsiveness sets up apart. Benefit from our scale. As part of our group practice, benefit from negotiated insurance contracting and cost savings in areas such as dental supplies. culture, philosophy and commitment to excellence in patient experience and care. New and experienced dentists interested in optimizing their career progression. Dentists who own their practice or looking to build a practice, and wish to reduce their stress and avoid the administrative burdens of managing a practice. enhance their reputation by focusing on patient care.